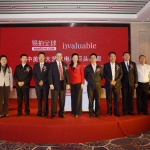 "We are thrilled about our new strategic partnership with Invaluable as we work to create stronger ties between the auction markets of the East and the West"
BOSTON--(BUSINESS WIRE)--Invaluable, the world’s largest online live auction marketplace, today announced a new strategic partnership with EpaiLive, Asia’s leading online auction platform for antiques and art, bringing together the two largest markets for art and auctions in the world. The exclusive new alliance allows both companies to cross-market their auctions across their respective platforms, providing Invaluable auction houses with unprecedented access to Chinese auction bidders, while providing North American bidders access to merchandise available through Chinese auction houses. Invaluable auction houses throughout North America are now starting to be listed on EpaiLive’s online platform, with auction sales being promoted to more than 100,000 registered EpaiLive users. The alliance will help streamline payment and logistics, as EpaiLive uses a secure escrow payment system to guarantee all payments from Chinese buyers, and facilitates the transactions from their buyers direct to auctioneers. In addition, Invaluable bidders now have access to merchandise for sale from EpaiLive’s partner auction houses in Asia, including a wide selection of contemporary Chinese art. Starting today, lots across both the Invaluable and EpaiLive platforms are available for absentee bidding online, and the two companies plan to start offering live online bidding later this year. According to the TEFAF Art Market Report 20141, the United States held the position as the principal center of the global art and antiques market in 2013, followed by China, which was ranked as the world’s second largest market for art and auctions. The report names China as the most important of the newer markets in the space. Invaluable has experienced tremendous growth in the Asian arts and antiques category in the past year, as well as growing demand from bidders based in China. The number of registered users on the Invaluable platform in China rose by 123 percent in 2013 over the previous year, while the number of executed bids from users based in China rose by 101 percent in 2013 over 2012. Invaluable is the world’s largest online live auction marketplace, featuring a live online bidding platform that allows collectors and dealers to bid in real-time in auctions held around the world. As the leading developer of SaaS and ecommerce applications for the auction industry, Invaluable provides auctioneers with marketing and ecommerce solutions across Invaluable and AuctionZip web properties, as well as access to RFC Systems, the company’s auction management software. Invaluable’s best-in-class historical price database includes more than 58 million complete auction results, totaling more than $204 billion in value. 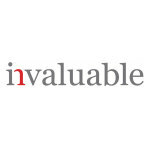 Founded in 1989 in Boston, Invaluable also has offices in Pennsylvania and the United Kingdom. For more information, visit www.Invaluable.com. EpaiLive is Asia’s leading online auction platform for antiques and arts, initiating the groundbreaking business model in the Asian antiques and art industry. The company connects over 100,000 China-based buyers with antiques and fine art auctions, art galleries and sales across the globe. It was founded in Beijing by Oxford graduate Dr QiQi Jiang in 2010. As the industry leader, EpaiLive is helping bring increased authority to the auction industry in Asia by advocating government regulations and standards, bringing greater transparency and credibility to the domestic auction market. The company works together with leading auction houses, both domestic and international, using a unique and completely secure payment system to guarantee all payments from Chinese buyers. Services offered to buyers and sellers go beyond other auction websites, with free catalog uploads, extensive marketing options and a comprehensive service to both buyers and sellers from the bidding stage to the delivery of purchases. 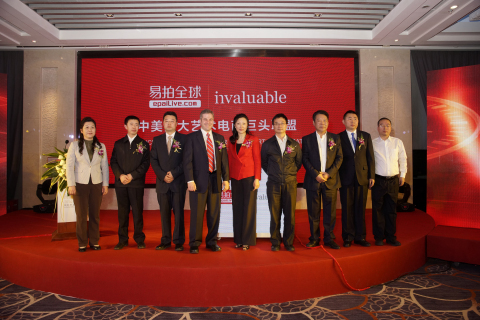 The live bidding portal operates in both Mandarin and English. For more information, visit www.epailive.com.